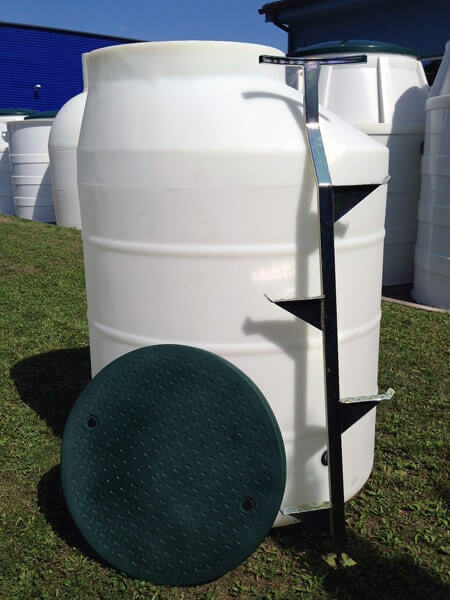 The VS meter shaft consists of a monolithic plastic tank whose dimensions and shape (eccentrically located revision entry) allow an entry of users in need of installation, exchange or water-gauge deduction smoothly. Included the entire distribution is the installation of the water meter at the base of the shaft which prevents it from freezing. Low weight allows the handling and installation of the shaft much easier. The basic version consists of a standard cover, ladder and holes with inlet sealant DN 32 connecting the water pipes. It is necessary to proceed in accordance with the operation manual for mounting during the installation, which is an integral part of the accompanying documentation.